As has been well documented, Movistar intend to send each of Nairo Quintana, Mikel Landa and Alejandro Valverde to the Tour de France together. We won’t know whether such a selection will turn out to be a bold tactical decision or an unsustainable overabundance until the race itself, but the upcoming Tour de Suisse could be an insightful indication. Valverde’s absence means the Suisse line-up falls short of the full ‘Fantastic Three’ line-up, but it will still be enlightening to see how Quintana and Landa work together. Will the team designate one as leader, and have the other work for him? Or will they ride as co-leaders and attack in tandem? The latter approach was adopted when the pair last rode together at the Tour of the Basque Country in April, where both put eventual overall winner Primoz Roglic (LottoNL-Jumbo) under pressure to finish second and fifth overall. Either way, as the final stage race both will compete in prior to the Tour de France, the looming threat of internal rivalry could begin to manifest here. Each will want to prove to the team that they are the strongest and most worthy of backing at the Tour by impressing in Switzerland, which might involve both trying to outdo not just the rest of the field, but each other. In all but one season since 2012, Richie Porte (BMC) has prepared for the Tour de France by first riding the Critérium du Dauphiné. This year, however, the Australian has opted to skip that race to compete at the Tour de Suisse instead, in what will be his first appearance here of his whole career. Porte’s record at the Dauphiné is very good, having finished second there behind Chris Froome at the 2013 edition while working as a super-domestique for him, then losing last year’s race by just 10 seconds when Jakob Fuglsang (Astana) snatched the leader’s jersey from him on the final stage. Porte will once more have planned to hit a strong condition for this time of the season, so will – especially given the presence of both a long individual time trial and team time trial – enter the race as favourite. Despite its status as a key warm-up for the Tour de France, the pair who have enjoyed the most success at the Tour de Suisse in recent years are riders who don’t ever concern themselves with targeting the maillot jaune in July. They are: defending champion Simon Spilak (Katusha-Alpecin), who narrowly beat Geraint Thomas (Sky) to win the 2015 edition; and Rui Costa (UAE Emirates), who enjoyed a hot streak between 2012-2014 to win a hat-trick of editions. Both will be hoping to kick start underwhelming seasons by challenging for the overall honours. 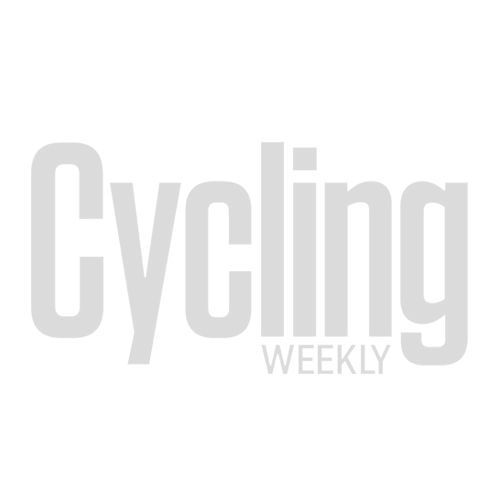 Neither rider will be looking forward to the prospect of the opening 18km team time trial stage, a stage that could conversely be an advantage to contenders like Sky’s Diego Rosa and Astana’s Jakob Fuglsang, even if both teams are far from full-strength. The inclusion of a long, 34km individual time trial to bring an end to the race in Bellinzona will give any strong riders against the clock who manage to keep themselves there or thereabouts on GC a chance of winning the overall at the last moment, such as Wilco Kelderman (Sunweb) and both Ion and Gorka Izagirre Bahrain-Merida). As the circuit finishes in Frauenfeld (stage two) and Bellinzona (stage eight) are the only stages resembling something like nailed on bunch finishes, it’s perhaps a surprise that so many quality pure sprinters have opted to ride. André Greipel (Lotto-Soudal), Arnaud Démare (Groupama-FDJ), Alexander Kristoff (UAE Emirates) and the on-form Fernando Gaviria (Quick-Step Floors) will all be present, perhaps with the intention of honing their climbing legs ahead of the Tour de France. Stages three and four likely include too many hills for the likes of them to contest for the stage, instead bringing in to play puncheurs like Philippe Gilbert (Quick-Step Floors), Tim Wellens (Lotto-Soudal) and Michael Albasini (Mitchelton-Scott). Two riders who could challenge in all of these stages are Peter Sagan (Bora-Hansgrohe), who has an astounding record of 15 wins here in his career, and the rider who inherited the green jersey from him at the Tour last year, Michael Matthews (Sunweb). The contest between the two could be a mouth-watering trial run of the battle for that jersey in next month’s race. As you’d expect from a race held in Switzerland, there are plenty of mountains on the route. The first taste of high altitude comes on stage five, with three large climbs tackled including a summit finish to Leukerbad, which will prompt the first real sort out of the overall favourites. The following day features two of the hardest mountains of the race, the Furka and Klausen passess, but it will take a bold rider to attempt to gain time on these as 65km of descending and flat roads follow the summit of the latter. The final chance for the climbers to gain time is on the following stage, which culminates with a huge 30km climb to Arosa. These stages should ensure that, even with the considerable number of time trialling kilometres included in this year’s edition, the top climbers should still emerge to the top of the GC.